Can Traffic Lawyers Still Help Me If I am Pleading Guilty? 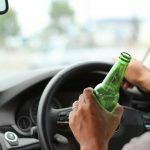 If you have been charged with a major traffic offence such as drink driving, negligent driving, reckless driving or drive whilst disqualified, you will usually be advised to seek legal advice, either from a private lawyer or an organisation such as Legal Aid. Speaking to an experienced traffic lawyer is essential if you are planning to plead not guilty to your charges, as you will need help in defending yourself and navigating the court system. If you plan to plead guilty to your driving charges, there are still a number of ways that traffic lawyers can help you. They can work to ensure you get a less severe penalty, speak on your behalf, and in many cases, even apply for a non conviction order and help you avoid a conviction or licence disqualification. If you have decided to plead guilty to your traffic offence, it is important that you understand the charges that have been levelled against you. By pleading guilty, you accept what the RMS or police say you have done, so it is essential that you know what you are agreeing to, and any implications this may have on your future. If the charges are not too severe, it can be tempting to plead guilty so you can put the matter behind you and move on. This is completely understandable, but it is important to check the details and make sure the charges are accurate and truly reflect the situation. 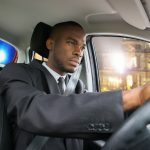 A criminal conviction for a traffic offence can result in disqualification from driving, and in some cases, a lifelong criminal record that can affect your employment prospects and travel options in the future. The police can make mistakes, and technology malfunctions happen from time to time, so make sure this is not the case before admitting to any charges against you. 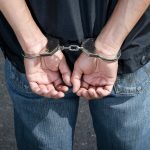 If you feel that there is any possibility police could have made a mistake, or the charges against you don’t reflect the incident, it is important to speak to a lawyer before you plead guilty. A traffic lawyer can discuss the details of the case with you and advise you of the implications should you plead guilty, and your likelihood of success should you decide to mount a defence. 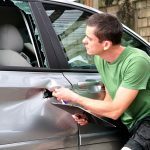 If you have reason to believe that you have been wrongly charged, traffic lawyers have experience at requesting further evidence from the police or the RMS, or applying for charges to be withdrawn. 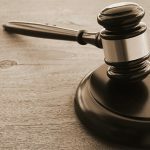 Even if you plead guilty to a traffic charge, the magistrate has the discretion to decide whether to impose the maximum penalty, or a more lenient sentence. In many cases, you may be able to obtain a non conviction order, which is a finding of guilt with no conviction or licence disqualification. Traffic lawyers often help clients receive the most lenient sentence possible when they decide to plead guilty. They can do this by presenting additional evidence, such as character references, and any mitigating circumstances that could encourage the magistrate to look favourably on you and your situation. Your traffic lawyer can also speak for you in court, and request a non conviction order on your behalf. There are plenty of reasons to consult experienced traffic lawyers even if you intend to plead guilty to the charges against you. No matter what you decide to do, using the services of a traffic lawyer can help ensure the most positive outcome for your case, and allow you to move on from the experience. Are You Being Prosecuted for a Trivial Offence? 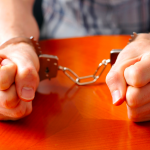 Do I Need A Criminal Lawyer if I Plead Guilty? Is it Better to Use an Interstate Criminal Lawyer or a NSW Specialist?